Being a one shave per blade guy, I am going through my inventory perhaps a bit faster than most. The 1 blade/shave thing is as a result of my sensitive skin and coarse beard growth. Used blades tend to irritate me faster. Considering the general low cost of double edge safety razor blades ($0.15 / blade) I figure my mug is worth a fresh blade. I normally purchase blades in denominations of 100. That is the standard quantity that is typically the most cost effective. Obviously, if you go for a larger quantity the individual price will be even better. Since I like to try new blades, sets of 200 are perhaps too much. I shave on average 4-5 per week and a set of 100 will last me some 5 – 6 months. At roughly $15 / 100, blades are not the most expensive item in my grooming regimen. At the moment my preferred razor is the Rockwell 6C with plate No. 2. My blades of choice for the past 5 months have been the Russian VOSKHOD. My best shaves have typically been when I use a pre-shave oil or cream along with a rich shave cream. 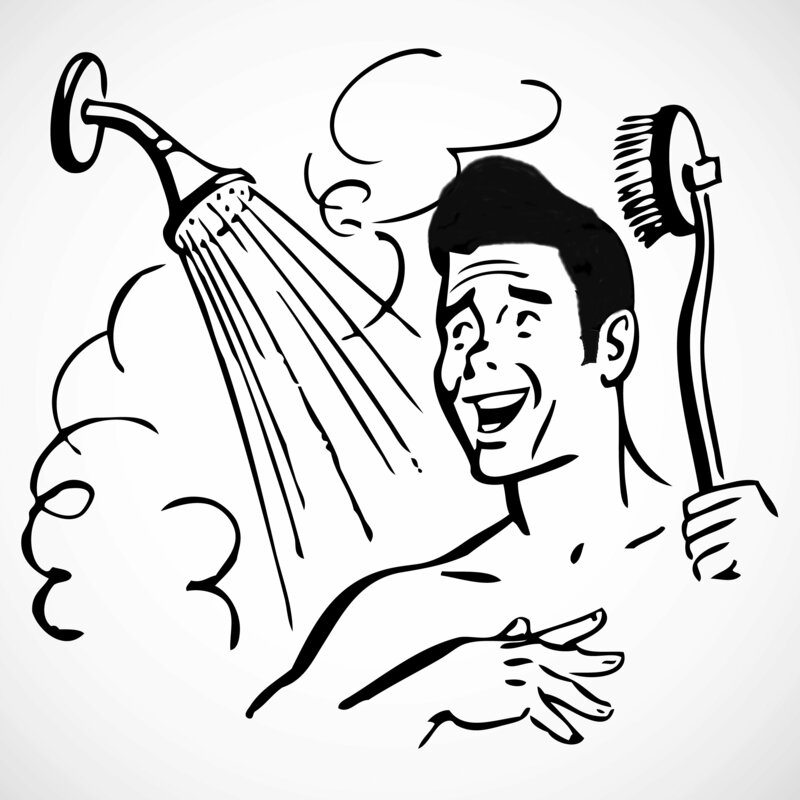 Sometimes the shave cream can be so thick that its rinceability can be an issue. That is a small inconvenience when considering the comfort of your face. 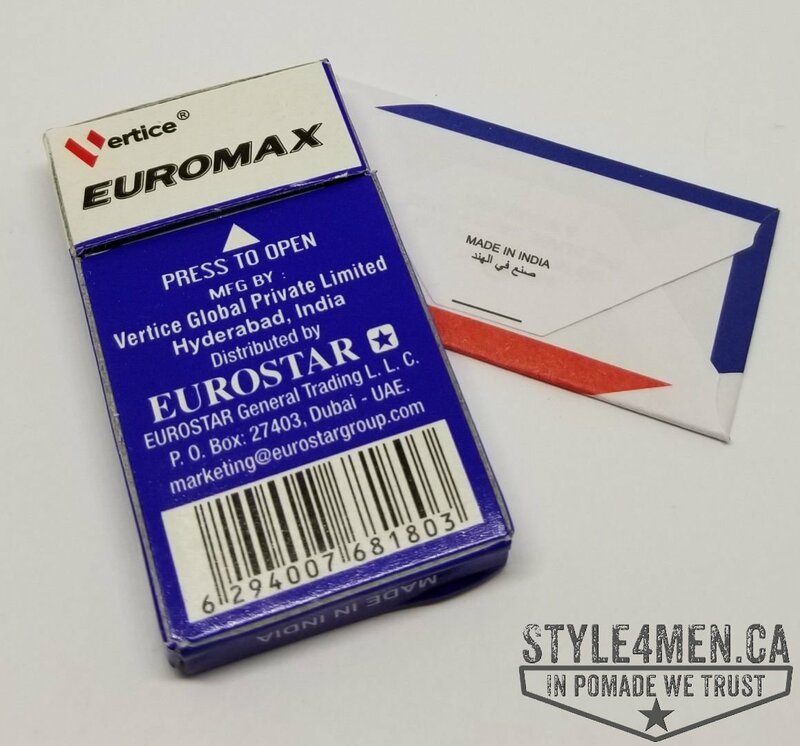 I bought a set of EUROMAX out of simple curiosity and I am not regretting it. 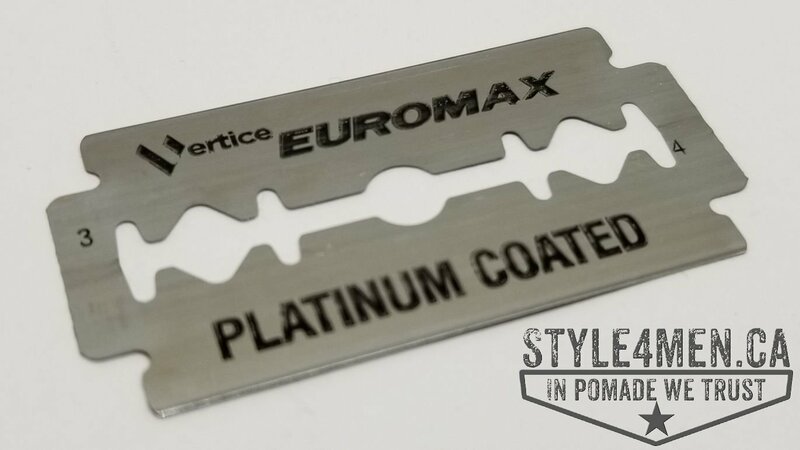 EUROMAX is a brand name registered in Dubai and the blades are manufactured in India. As you might already know, most doubled edge blades come to us from the Middle East and/or Russia. The blade is extremely comfortable. I haven’t felt like I need to be extra cautious. The blade shaves close and smoothly. It is forgiving so the novice wet shaver won’t be intimidated while being a quality blade as to not disappoint the more experienced gentleman. A set of 100 was $12.19 + $2.62 of shipping to Canada. For anyone who has purchases stuff from the UK, you are in the know. For everybody else, you are in for a treat. Forget everything you think you know about international shopping based on your experience with parcels coming from the US. First off, it will be delivered to a Canadian address in a ridiculously short amount of time. My experience has been in the 5 business day range. Secondly, you will most likely not be dinged by customs. Obviously staying under the $20 price point is the rule, but to this day I have not been inconvenienced by customs on purchased make in the UK. As stated above, I am a 1 blade per shave man. But whenever I try a new blade, I use it more than once to see if I am to be proven wrong. The VOSKHOD blade had impressed me with consistent good performance on maintenance shaves. Shaves that are against one day’s worth of growth. 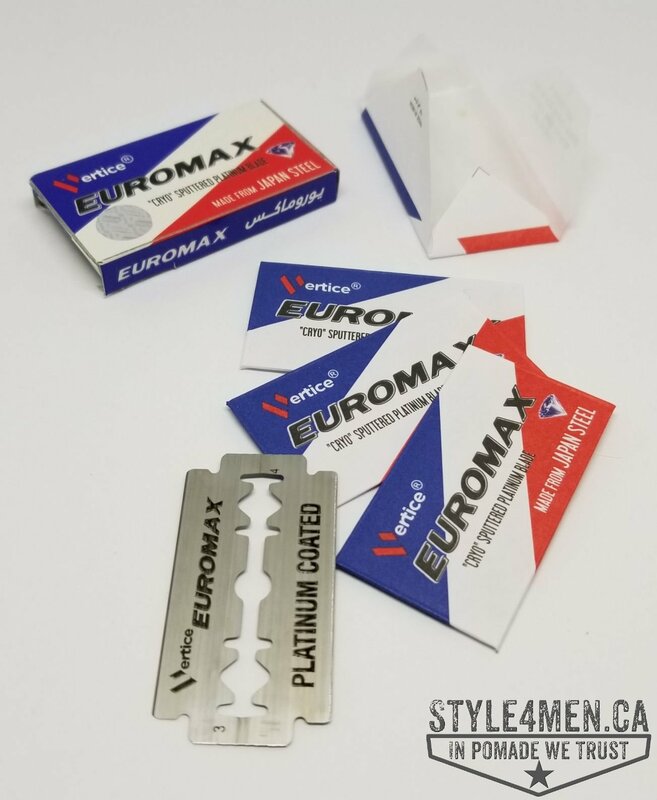 The EUROMAX impressed me on the first save and the second shave was on a 3 day beard. And wouldn’t you know, it performed splendidly. Basically, I am lining up for 5 months of great shaves using these babies.